Ascorutinum is a combination drug consisting of rutin and vitamin C. It can be used both in preventive and therapeutic purposes in diseases associated with capillary fragility. Askorutin strengthens blood vessels, regulates metabolic processes, compensates the deficiency of vitamins C and P in the body, thereby strengthening the immune system. 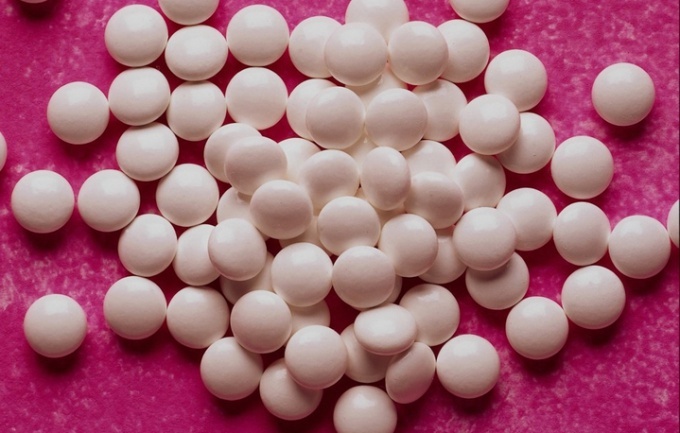 The drug is most often appointed by doctors when thrombocytopenic purple, hemorrhagic diathesis, rheumatism, radiation sickness, hypertension, glomerulonephritis, and infectious diseases such as influenza, measles, scarlet fever and typhus. When taking anticoagulants, and acetylsalicylic acid are shown prophylactic administration Askorutin. Drink Ascorutinum after eating, drinking pills is enough liquid. However, it should be remembered that alkaline water, in particular mineral water, prevents the absorption of vitamin C (ascorbic acid). Askorutin take in a daily dose of 1-2 tablets, if he is appointed as a preventive measure. The children in this case, you can not take more than one tablet a day. The duration of treatment is determined individually, therefore, before the use drug consult a doctor. Increase the daily dose is 3-6 tablets in three divided doses if the medication is prescribed for medicinal purposes. Children's therapeutic dose is 1.5-3 tablets per day taken also for 2-3 times. According to indications, the dosage may be increased, but this decision should be taken by a qualified technician. The average duration of treatment is from three weeks to a month. Stop taking Ascorutin, if there were side effects from the treatment. The most common manifestations of intolerance to the drug are headache, increased blood pressure, nausea accompanied by vomiting, and sleep disturbances. Chronic administration is also possible the development of kidney stones. Advice 3 : In some cases, to take "Askorutin"
Known vitamin preparation "Ascorutinum" now undeservedly forgotten, despite the very low price and excellent effects on the human body. 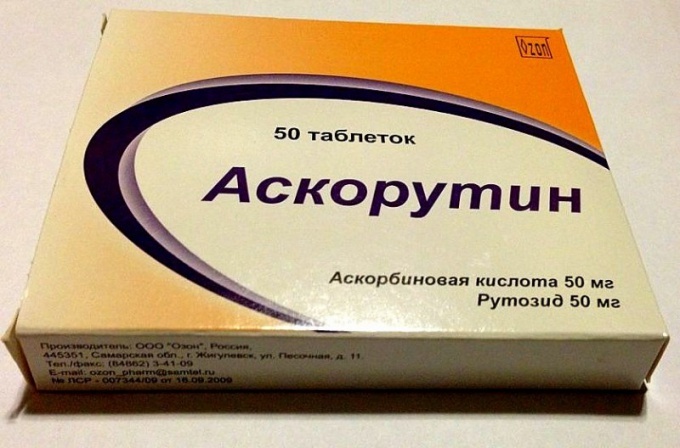 "Askorutin" is a complex drug, which was well known to doctors and their patients even during the Soviet era and has earned a good reputation. In the "Askorutin" only two components - askorbinki (vitamin C) and rutin. - prevention and treatment of colds, flu, etc. up to aid in the treatment of radiation sickness. Tip: women should pay special attention to that "Askorutin" could slightly reduce the amount of blood released during menstruation and its duration. Thus, in this period, "Askorutin" should be taken only if necessary. Despite the fact that this drug is a common vitamin complex, the need, dosage and duration of its administration should be determined by the doctor. 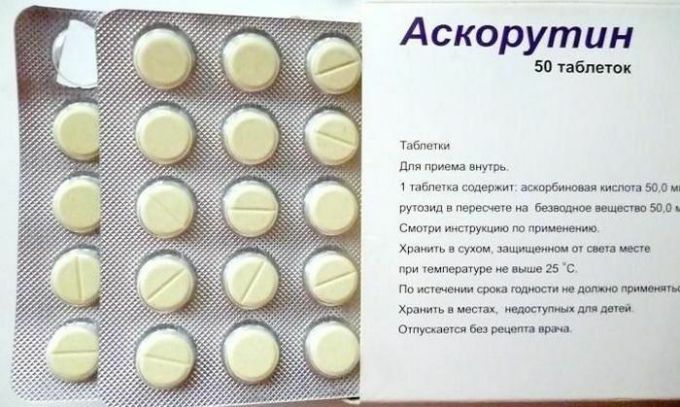 However, General recommendations are as follows: in the treatment of diseases "Askorutin" it should be taken during or after meals 1-2 tablets 2-3 times daily for prevention technique "Askorutin" can be 1 tablet 1-2 times a day. These vitamins it is better to take the course, its duration is approximately two to three weeks. For kids dosage "Askorutin" even less. Problems with taking "Askorutin" are rare, but still noted individual drug intolerance, headache, trouble sleeping, nausea, heartburn. With caution the drug is prescribed for problems with the gastrointestinal tract, increased everywherethe blood, diabetes, high blood pressure, pregnancy. Attention! I do not advise to self-medicate even with vitamins.